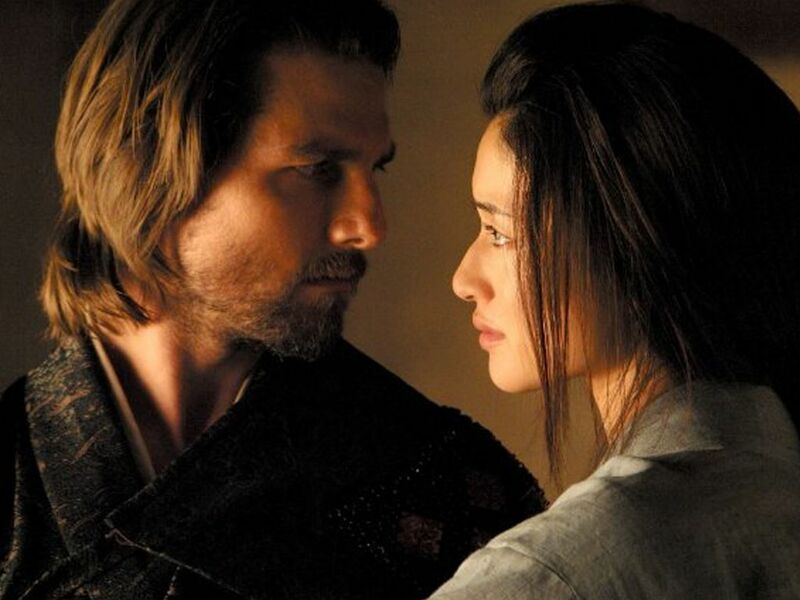 A spectacular historical epic, The Last Samurai takes a long time to tell its slow tale, but also provides plenty of heart and soul in lamenting the end of a more honourable era. Tom Cruise journeys through the Japanese landscape in a state of wonderment, and springs into energetic action on cue. It's 1876, and Captain Nathan Algren (Cruise) is a veteran of the Indian Wars, a recognized was hero now mostly attached to the bottle. Algren despises his former commander Colonel Bagley (Tony Goldwyn), but nevertheless joins Bagley in accepting a handsome payment to travel to Japan and help train the Emperor's army. Emperor Meiji is attempting to modernize Japan but is unable to resist the influence of his selfish advisers and foreign meddlers while staring down a rebellion led by samurai Katsumoto (Ken Watanabe). Algren's poorly trained troops are annihilated when thrown prematurely into battle, and he is taken prisoner. Incarcerated for a year in Katsumoto's village but treated respectfully, Algren overcomes his dependence on alcohol, recovers from his battle wounds and learns the samurai culture, values, and combat skills. Gradually he adopts their habits, and after helping to save Katsumoto's life from hired assassins, the two men become close friends. They join forces to take on the vastly superior army assembled by the Emperor under Bagley's command in a final existential battle for Japan's future. At 154 minutes, The Last Emperor is not in a hurry. 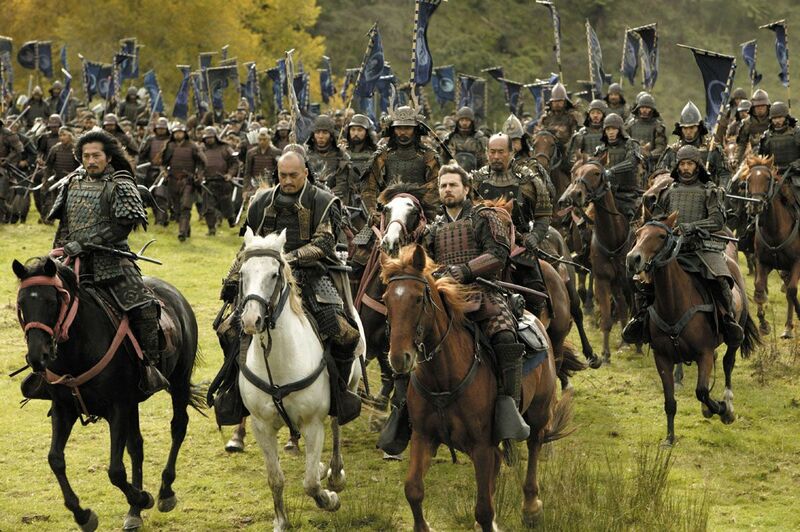 Director Edward Zwick allows the characters and events to soak in atmosphere, and the final 30 minutes are occupied by a massive, genuinely spectacular grand battle of swords and guts against guns and cannons. The middle third of the movie is where Algren spends his year of captivity, and while the scenery is beautiful and Algren's transformation from hired gun to believer in the samurai cause is achieved with integrity, time does seem to stand still and the film's progress appears to take place in real time. In addition to the long running time, The Last Samurai does carry into battle several similarities with Lawrence Of Arabia. A westerner with empathy for an eastern culture joining a rebellion of mammal-mounted warriors against a more modern and better equipped empire is the superficial summary of both story lines. The Last Samurai also introduces photographer Simon Graham (Timothy Spall) to chronicle the struggle, similar to the Jackson Bentley character in Lawrence Of Arabia. The Last Samurai is, however, only loosely tied to actual history, with some of the characters and incidents drawn from real counterparts but mostly representing an era rather than events. As the only star name in a grand movie, Cruise carries the film with earnest respect for Japan, and explodes into impressive combat action with dedication. Watanabe's samurai Katsumoto represents the noble Japan of old, where the warrior's honour and integrity shaped the land. That lyrical mythology may obscure the less splendid aspects of the samurai culture is to be expected, and here Katsumoto is all about resisting the corruption of foreign powers wishing to buy influence through a combination of intimidation and military bribery. Zwick does not shy away from using some slow motion shots, including slow motion replays, to highlight the balletic brilliance of some of the sword play. Both Cruise and Watanabe, as well as the character of Katsumoto's fierce and loyal lieutenant Ujio (Hiroyuki Sanada), enjoy moments of pure athletic heroism in the midst of brutal battles well captured by Zwick and his cinematographer John Toll. The Last Samurai is an enjoyable epic, a journey into the mists of a bygone era in Japan's history and a salute to old-fashioned film-making.